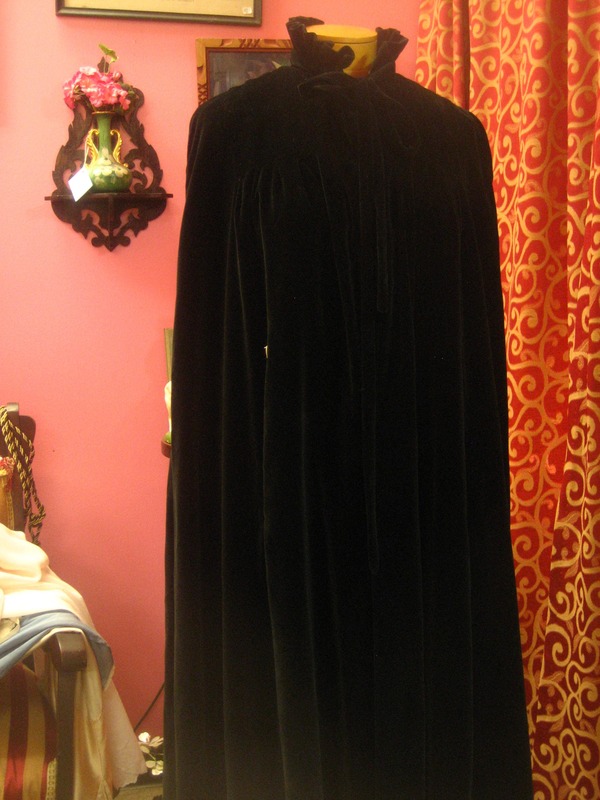 1980's, 42 bust, black velour full length, Victorian style cape. 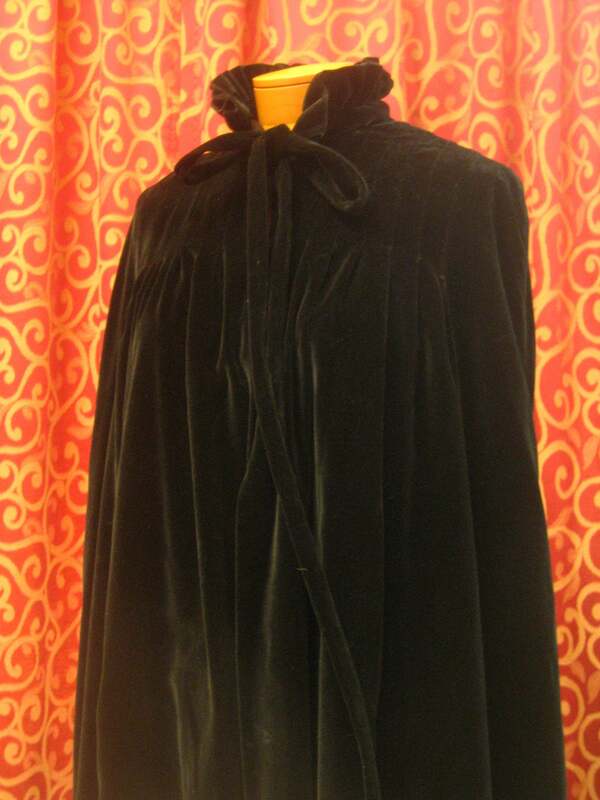 1980's, 42" bust, black velour full length, Victorian style cape. 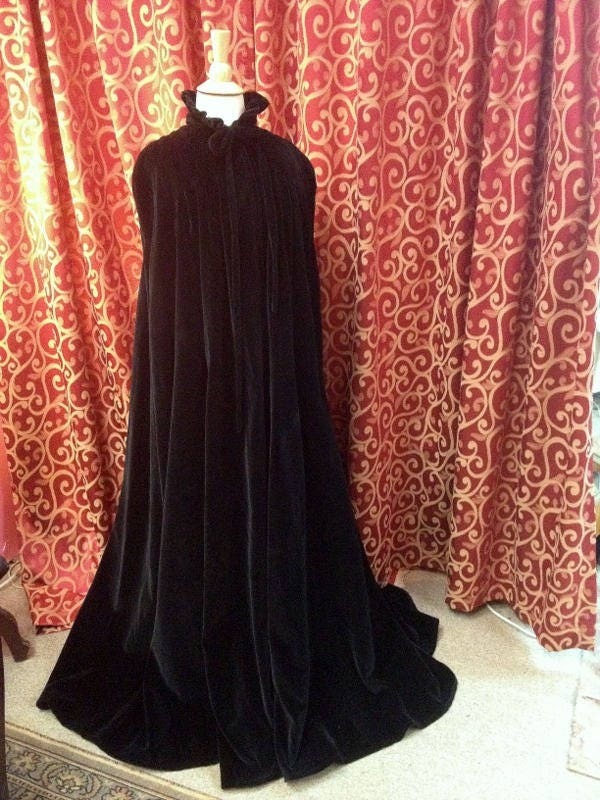 1980's, 42" bust, black velour full length, Victorian style cape. 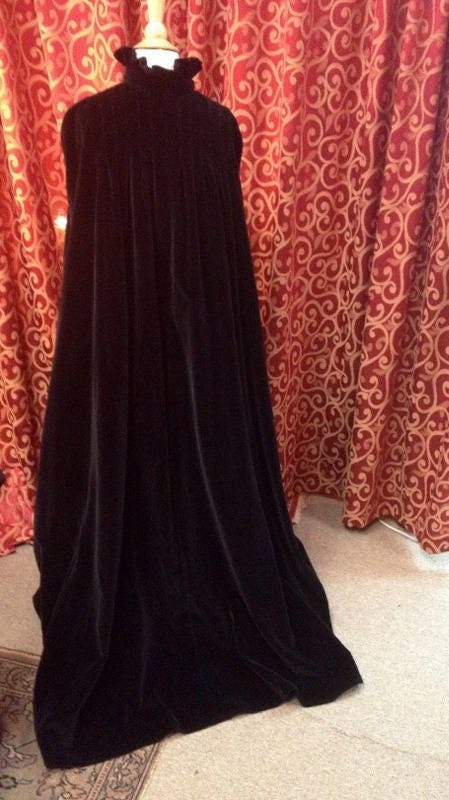 The cape is fully lined in black rayon satin. The collar is high and ruffled with long narrow ties. 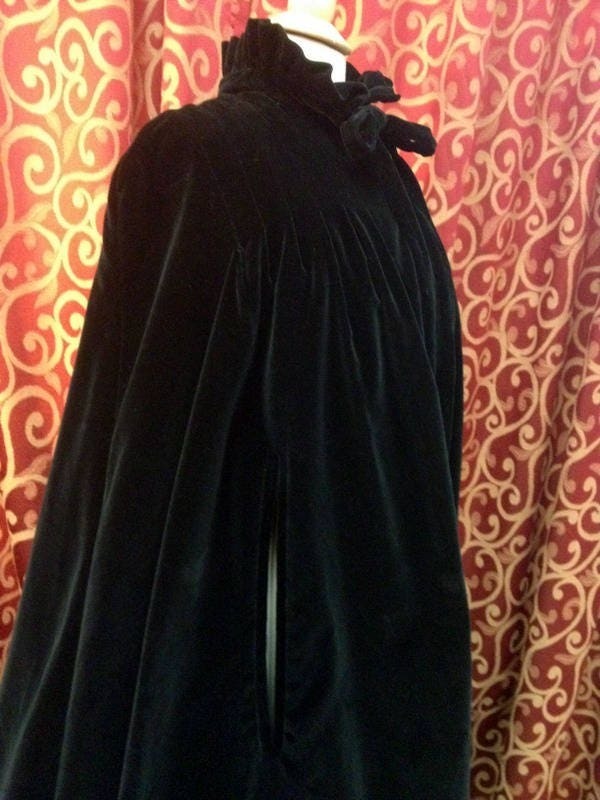 Three large snaps fasten the cape from neck to cheat. 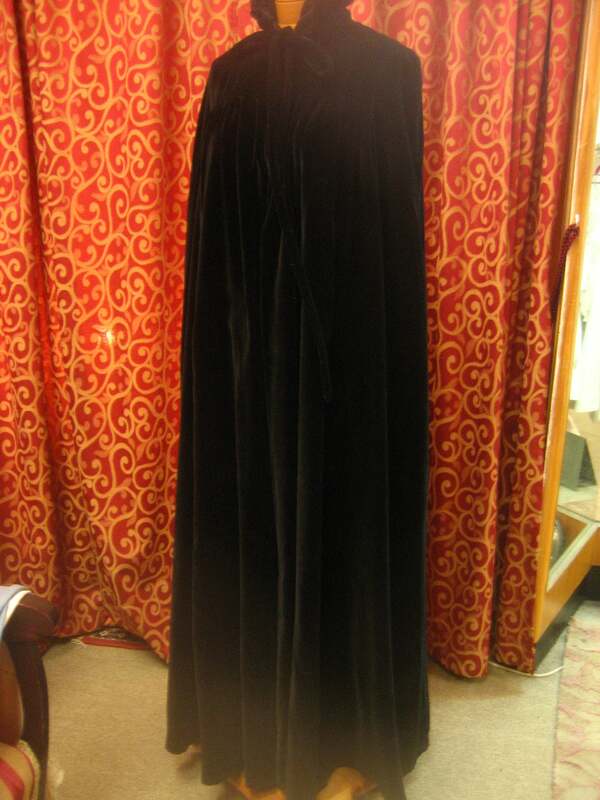 The cape also has slits for hands at each hip. Cape has gathers at shoulders front and back. Cape is very long and voluminous.